With tax day right around the corner, many of us are searching far and wide for any deductions we can get! That got us wondering, are dogs tax deductible? Well… not exactly, but there are some dog related expenses that may be! We all know our dogs are members of the family, but the IRS doesn’t see them that way – they can’t be counted as dependents. But, there ARE some dog-related expenses you might not be aware of! Of course, you’ll want to check with your tax professional to make sure your write-offs are legitimate. 1. Moving Your Dog: According to Kiplinger, If you moved during the tax year, it might be possible to deduct your moving expenses – including those specifically related to moving your dog. For example, if moving your dog requires special expenses, those expenses are treated no differently (in the federal government’s eyes) than any of your personal effects. Making special arrangements to get Fido from your old home to your new one? Save the receipts! 2. Guard Dogs: According to tax expert, Cliff Ennico as reported in Entrepreneur, guard dogs can be a legitimate write-off. This would include the cost of caring for the dog, but not the dog itself. And, you can only deduct a percentage based on how much time the dog spends guarding. But, if you’ve got a guard dog that protects your business and inventory (I wouldn’t really try this one as a personal deduction) this could amount to a nice deduction. 3. Charitable Donations to Dog Rescues/Shelters: It would be easy to assume that the costs of adopting a dog from a registered non-profit, 501(c), would be deductible – the assumption would be wrong. The cost to adopt a dog is not deductible. However, any donations made in excess of regular adoption fees most certainly are. According to the law, only those donations made where no goods or services are received in exchange (i.e., your new dog) can be deducted. Should you choose to make donations to your favorite 501c dog charity, make sure to ask for a letter of receipt that states no goods or services were received. Donations of both goods and services to an approved charity are tax deductible. When donating goods or services to an approved charity, ask for a donation receipt – you’ll need it if the value of your donations exceeds $250. To deduct a charitable contribution, you must file Form 1040 and itemize deductions on Schedule A. 4. Service/Therapy Dogs: According to IRS Publication 502, You can include in medical expenses the costs of buying, training, and maintaining a guide dog or other service animal to assist a visually-impaired or hearing-impaired person, or a person with other physical disabilities. Just make sure you’ve got good medical records to back you up, should questions arise. 5. 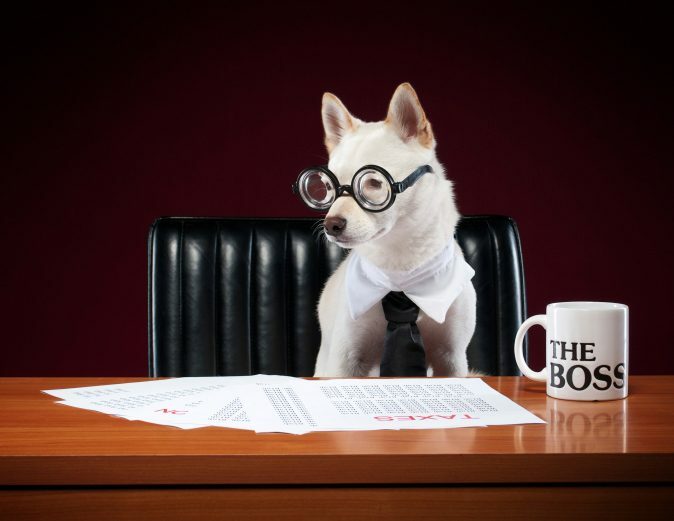 Jobs With Dogs Expenses: If you own and operate a business with dogs, of course your dog-related business expenses are deductible. If you’re a trainer, you may be able to deduct mileage or transportation costs for visiting clients and their dogs. If you’re a dog walker and need to purchase business related items like leashes and poop bags, those expenses can be itemized. As with any job-related expense, just make sure to keep all receipts and be able to prove the items were for job duties, not for your personal pet. 6. Fostering Dogs: As a result of Van Dusen v. Commissioner, animal rescuers nationwide that are fostering dogs and/or cats for approved charities may claim the expenses during tax time. An approved charity is one that is recognized by the IRS with the 501(c)(3) designation as a Not-for-Profit organization. Fostering expenses eligible for deduction are food, medicines, veterinary bills, crates, garbage bags, and the like. Even a portion of your utilities can be considered expenses as long as a a specific area of your home is only used for the care of the animals and nothing else.